Neighbors lets residents share videos and photos with each other when they see suspicious activity. The city of Miami hopes its partnership with the Neighbors app will help streamline the process of gathering crime information. Cities across the country including Fort Lauderdale are already partnering with the app to investigate crimes. Miami mayor Francis Suarez called the partnership a "game-changer" for the city because it relies on the police's collaboration with residents. 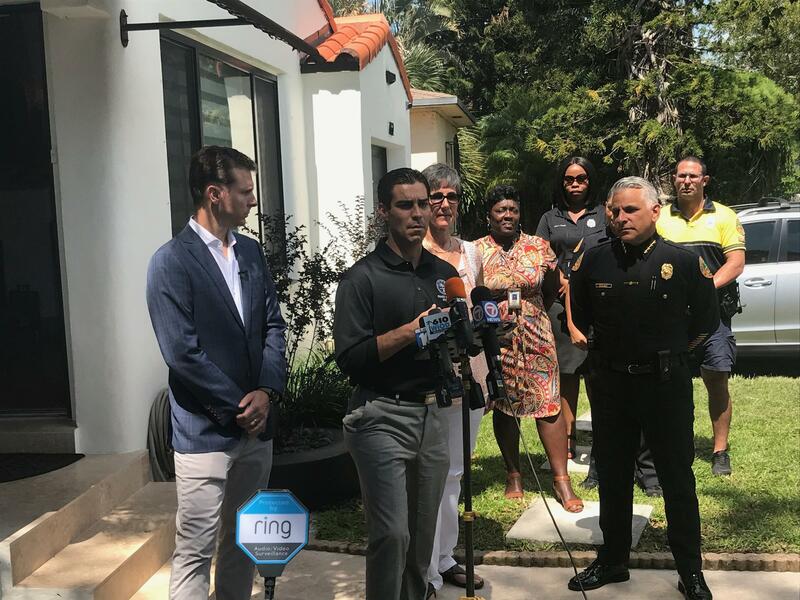 "This is really going to give us an opportunity to be connected with our police department, with each other as neighbors and [to use] technology to pierce through and reduce crime in ways we could have never done before," Suarez said at a press conference in front of a home in the Edgewater neighbhorhood that uses the Ring security system. 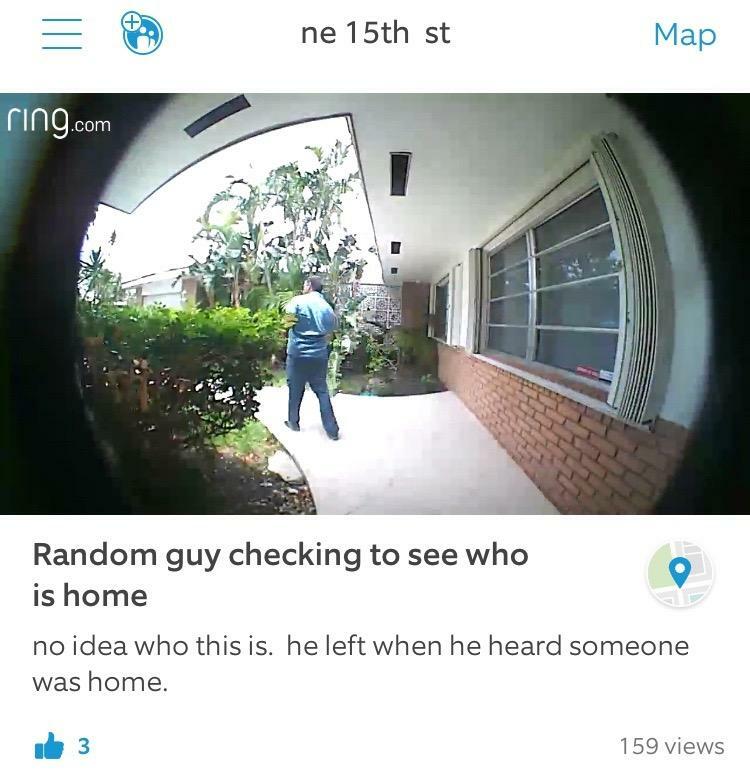 Ring is an Amazon-owned home security company that uses doorbells with cameras to let homeowners monitor activity near their stoops. The company's social app, Neighbors, lets residents share videos and photos with each other when they see suspicious activity. Fort Lauderdale and several other cities across the country partnering with the app use it to streamline the process of investigating crimes like burglaries and package theft. Suarez and Miami Police Chief Jorge Colina said usually police have to canvass a neighborhood to gather information about suspicious activity. They then have to continuously monitor the area in case the perpetrator shows up again. "With the app, we don't have to be the ones that are doing that," Colina said. "The neighbors have the ability to go on and see what was the video, what do they look like. And so all of sudden you have an entire neighborhood that is extra vigilant. It's not just the police." Neighborhood watch social networks have been criticized in the past for allowing racial profiling. Nextdoor's crime app, for example, has allowed users to report people in their neighborhood as "suspicious" simply because of their race. One Coconut Grove resident last year used the app to report three African American young men who were riding bicycles. Colina and Ring CEO Jaimie Siminoff said Neighbors avoids such profiling because the posts are based on photos and video footage. Siminoff acknowledged that users can still post about suspicious activity without including videos of it. But his company has not experienced issues with racial profiling and it has moderators who review flagged posts. "As a focused app around neighborhood safety and the way we've built the app, I believe so far we've seen that it works in a way that [profiling] does not happen," Siminoff said.